Creating a great brand identity takes a lot of insight and craftsmanship. Thorough research and working closely with my client is key. Ever wondered what you should expect from working with me? 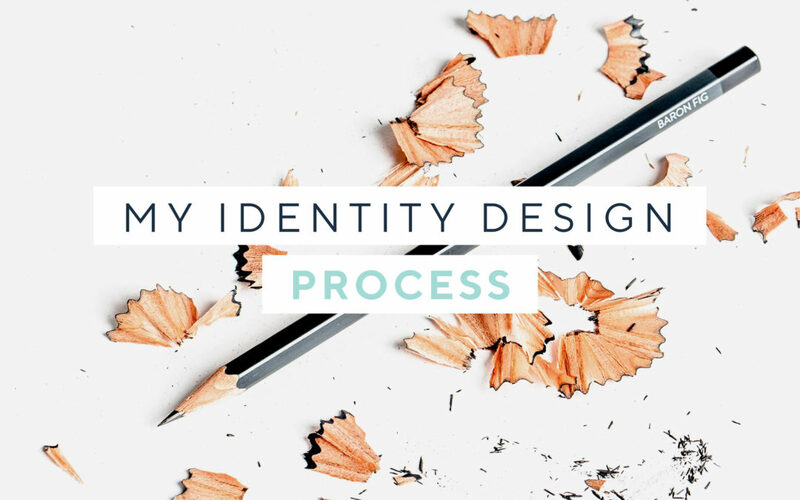 Here’s an overview of my identity design process. The first phase in any design project is all about digging deep and getting your hands dirty. Exploring, evaluating and defining your vision, core values and goals. Where are we, and where are we going? You play a key role as we stake out the course, and we’ll always start off with a meeting (either face to face or via a Zoom video call) where I get to know you and your expectations for the project. Next, I ask you to complete my brand foundations questionnaire (and you thought you were done with homework, eh?) to give me an important insight into your vision and core values. Don’t take this part lightly, it’s a crucial part of creating a unique and memorable brand identity that you can be proud of! After the initial research phase, we’ll have a detailed design brief to work from. Based on the design brief, we’ll now start to explore possible design concepts. This phase usually includes developing one or more moodboards, to ensure we’re on the same page and have a common understanding of the direction we’d like for the end result before the ideation phase. The work we did during the first two phases is now visualised through both quick and more detailed sketches, on paper and screen. It’s important not to rush this phase, but to allow ideas to mature and evolve over time. Next, I pick a handful (usually 3-4) of the strongest concepts that I then contextualise them (making it easier for you to envisage the final result) before presenting them to you. Design is an iterative process. Working closely with you, it’s now time to tweak and tinker your chosen concept, down to every little detail. Colour scheme, typography and visual elements all come together to form one strong and unified look. Almost there! It’s time for those final finishing touches to the identity’s underlying system, and the preparation of a brand board or more detailed brand identity guidelines. These guidelines will ensure correct use of all the visual elements, enabling you to create a strong and consistent look for your brand. Final files are saved in every file format you could possibly need, and then uploaded to your client portal for you to download. Your shiny new brand identity is now ready to conquer the world! Your individual needs define the extent of this phase, but it usually includes design of branded collateral like brochures, business cards, banners, ads, website, social media graphics, clothing, packaging… you name it!